I don’t like to admit it, but before I signed up for Tara’s 30-day Email Marketing Kickstart course, I had no idea what to do with my mailing list. Every email I sent out got a blah response and it felt like pulling teeth just to get people to sign up for it! It was so frustrating because every business blog told me I NEEDED to pitch my mailing list successfully if I wanted my business to survive. It was in desperation that I signed up for Tara’s course but it turned out to be the best decision I’ve made this year! 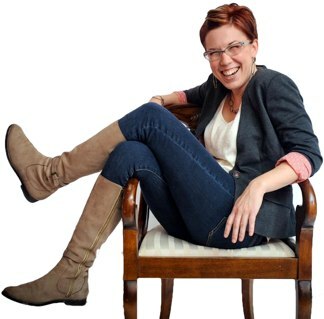 Claim to Fame: Business coach, writer of ‘The Art of Earning‘, blogger extraordinaire behind TaraGentile.com and Scoutie Girl. Tara comes at email marketing from a whole new perspective. Her course doesn’t focus on formulas, tricks, or schemes. Instead, she shares her knowledge in a personable voice (seriously, it’s as if you’re her best friend and you’re out having coffee together). She looks at WHY you’re emailing your fans, what they NEED from you, and what you’re LOSING (and what you’re denying your fans) by NOT sharing your amazing products and services. Her course showed me how to connect with my fans on a personal, non-smarmy level (just as she did with me) that resonates with my purpose. The tricks she does share are wonderful and taught me how to make the most of autoresponders, lists, and my blog content. I loved it! What makes Tara’s email marketing course unique? Tara didn’t give me advice on how to pitch my list like a used car salesman. Rather, she started from the ground up to help me successfully brand my emails. How did I want my customers to think of me when they opened my emails? What is my purpose for sending these emails? As I went through the program, I really defined what my reason for emailing was and also gained a clearer vision of who my fans were and what they wanted to read. Once I knew that, every email I sent out felt natural. No more pulling teeth to write an email that flopped like a dead fish! Instead, I had well-written, purpose-driven pitches that went straight into the hearts of my attentive audience. I have two this time. Whoops! First, I love that this 30-day course is emailed out every afternoon. These in-depth emails keep me motivated to put something into action every day because another email is coming in just 24 hours! Second, you know I love worksheets and Tara’s emails come with a simple ‘homework’ task, which is almost a worksheet! The homework really helps me take one actionable change each day. By the end, those 30 small changes will lead to a complete turn-around for my mailing list. If you’re like I was and don’t know what to do with your mailing list, Tara’s Email Marketing Kickstart is the best thing you can take! She has helped me completely re-craft my tone, content, and even the purpose of my emails to reflect the needs of my fans and the ‘why’ behind my business. Plus, after the 30th email, Tara has a big follow-up planned! So get ready to develop an email marketing strategy you’re proud of! I signed up for Tara’s e-mail course too, and I’m loving it! I agree that if you do the homework each day, you’ll change the tone of your e-mails and stop struggling to find how to write to your list. Definitely 5 stars!! I’m so glad you’re loving it. I’ve learned so much already!